Enchanted Excurse: Worry Less So You Can LIVE More! Worry Less So You Can LIVE More! Afternoon Loverlies! 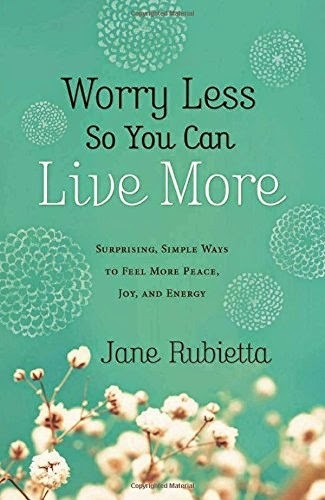 I received a book to review from Bethany House called, Worry Less So You Can Live More: Surprising, Simple Ways To Feel More Peace, Joy, And Energy by Jane Rubietta. In each chapter Rubietta starts out telling a story of her past of when she had trouble with worrying. I find she wrote each chapter beautifully, and has a distinct way of telling her stories. At the end of the chapters there are questions you can ask yourself or even if you used this book for a bible study group. She also ends the chapter with a votum and a benedictus she has written. Rubietta has a way of keeping you interested while reading about this worry or that worry, and also does a great job of explaining how those worries are not needed. She writes about how we need to give those worries to God and have faith. It really hits home for me because I have always worried. I just need to trust God more, and know that he is there with me and he will take care of it. Not only is the book beautifully written it has a gorgeous cover! It is worth a read if you struggle with worrying. Have A Blessed Day! Weary of worry and its tagalongs: anxiety, discouragement, and exhaustion? 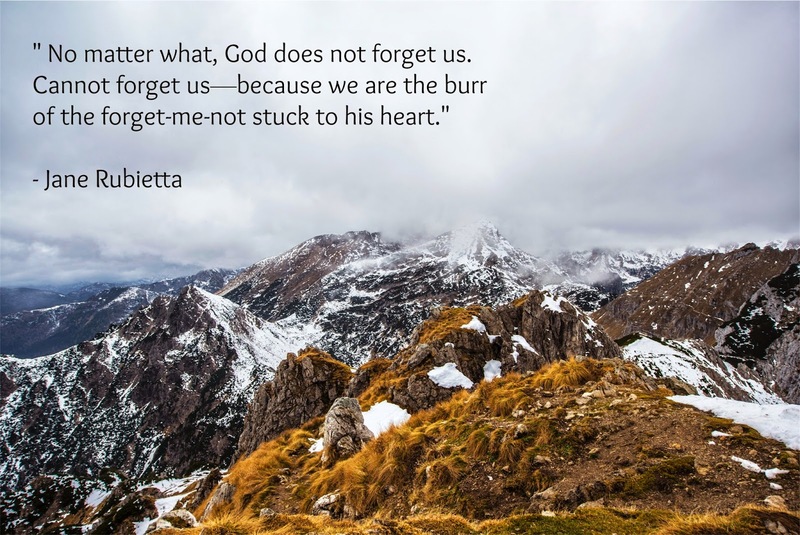 Jane Rubietta invites you to leave behind your heavy heart and learn to truly live again. To experience joy and rest in the moment-by-moment pleasure of a God who delights in you--and has all your tomorrows under his control. Jane's picturesque prose offers enduring encouragement and practical tools for change. Discussion questions and journaling prompts make this the perfect book to read on your own or share with your small group and discover how to worry less and live more. This is one of the sentences in the book that stood out to me! I love it so much! I went to Unsplash and found the picture of the mountain. They have pictures on there that are amazing and you can use them for anything. Well I believe except for selling. This sounds like a great book...it is definitely an issue for so many people, me included!! I have to really work to keep the worry at bay! It is a loverly book. I believe she has other books you can read. I also noticed she is a speaker. Here is her website if you are curious, http://www.janerubietta.com/. And thank you so much for commenting! I'm a chronic worrier - this sounds like it would really be a good book for me. Thanks for sharing! Sounds like a good book, full of excellent advice! So, so many people can be plagued with worry....I've certainly had seasons of it! Worry gets the best of me some days. I know it doesn't do any good, so I don't know why I bother with it. I guess we just need to train our brain. When we think oh no about this or that, we need to try and pray it into God's hands. But that is sooooooo easier said then done. I know sometimes while in anxiety attacks it's like my brain takes over and I can't think of anything else other than, too many people, Clausterphobic, Can't breath, Etc. It is like the brain locks down on certain thoughts and you can't move or do anything with your thoughts at all. But maybe when I am not in the anxiety attack and also worrying. That is the time to try to retrain my thoughts and pray it into God's hands.